Have you ever wondered how that bag of Stir Fry Mix comes together? Well here is a field that shows you exactly how some of it is grown. 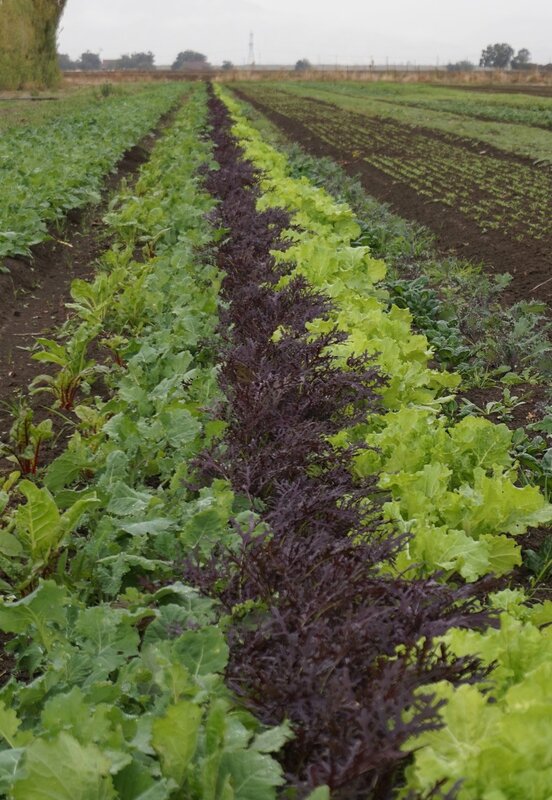 Planting beds with rows of different greens saves the guys time from having to go to many different fields. To the mix they add some young chard and kale greens.